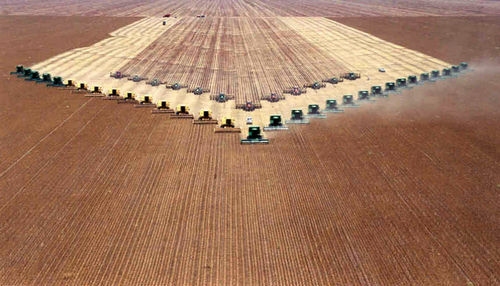 This is a follow up to last years 25 combines This picture comes from Brazil. This farmer, Blairo Maggi, sows about 180,000 hectares of soybeans each year in the State of Mato Grosso. Thanks to Silvio Regis de Oliveira for the post. 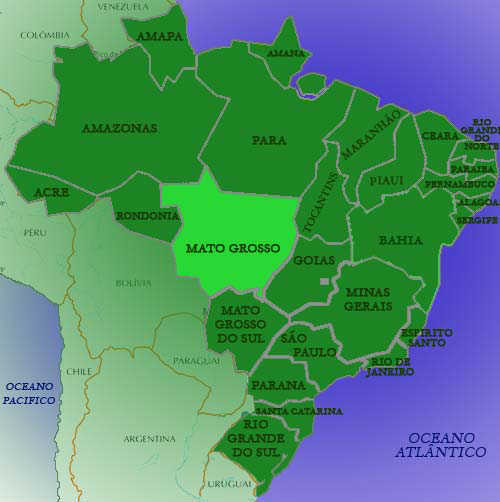 And it is in Mato Grosso State where great part of one of the most intriguing places in the Country is located: the Pantanal, the biggest floodable region in the world, where the succession between floods and ebb tides gives origin to a unique feeding chain, populating the region with a varied fauna. Cutting across the Pantanal, the Transpantaneira – a mud road, full of small wooden bridges – allowing a parade among birds and mammals of the region along the path. What incredible scale. I wonder how much of the Amazon is missing. Ah well, the world needs to be fed somehow. Anybody got a higher resolution version of this picture?